The Minmatar Empire is one of the four playable factions and, like the others, has a distinct line of ships with specific quirks and abilities. Minmatar ships usually have the best base speeds for their size and class. Projectile turrets come in two types: autocannon and artillery. Here are the Minmatar T1 ships. Please follow the links to the specific pages of the ship database for more details and particular fits. Little more than slower, armed shuttles, corvette (or "noobships") are the basic frigates that new pilots start with. You can acquire a new corvette (together with a civilian weapon, a civilian mining laser and one unit of Tritanium) for free by docking your pod in a station where you don't already have any ships. On their own these are not much use for anything other than basic errand-running. The Reaper-class corvette is one of the smallest of the Minmatar vessels, just barely reaching rookie ship status instead of a manned fighter. The Reaper is very cheap and is used en masse in daring hit-and-run operations by Minmatars either side of the law. Placeholder (Frigate heading not appearing). 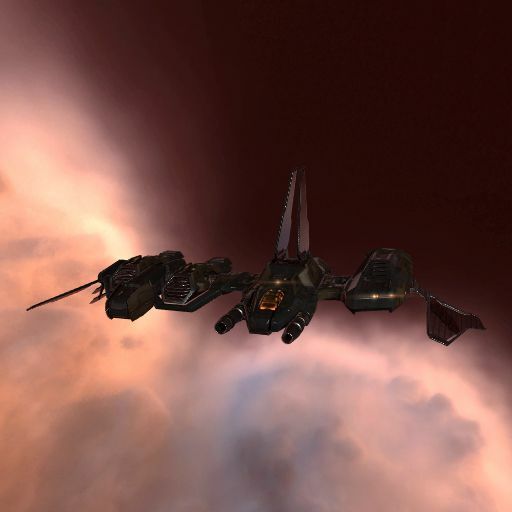 Frigates are the smallest of the ship classes in EVE. In fleet PvP, Tech 1 frigates are generally used for tackling or electronic warfare, two roles in which they can have a significant impact. Tech 1 frigates are also flown for solo PvP: their speed and small size helps solo pilots to pick their targets, and their low cost makes them comfortably expendable. In PvE, the more combat-focused frigates are used to complete Level 1 missions, though once new pilots are a little wealthier and better-trained they often begin to use destroyers instead. The Breacher's structure is little more than a fragile scrapheap, but the ship's missile launcher hardpoints and superior sensors have placed it among the most valued Minmatar frigates when it comes to long range combat. This is a long-range missile boat. 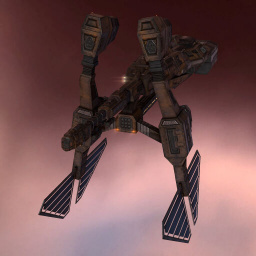 It is rarely used, because its effectiveness is overshadowed by the other factions' missile platforms, most notably the Kestrel. In YC114 each major empire faction, having been embroiled in a harrowing, extensive, long-term war, recognized the growing need for support and logistics functionality in their vessels during the kind of protracted interstellar warfare that might otherwise prove exhausting for its participants. In the Minmatar Republic, this led to the redesign and redeployment of the Burst. The Burst had been a small and fast cargo vessel. This all changed after the redesign, when the Burst found its small-time mining capabilities curtailed in lieu of logistics systems that moved its focus to shield support for friendly vessels. The Burst is the Minmatar logistics frigate and is designed for remote shield repair. It makes an ideal entry point for beginner Minmatar capsuleers who want to train into the Scythe, the Minmatar Tier 1 Cruiser logi ship, before eventually training into the Scimitar, the Minmatar Tier 2 Logistics ship. The Probe is large compared to most Minmatar frigates and is considered a good scout and cargo-runner. Uncharacteristically for a Minmatar ship, its hard outer coating makes it difficult to destroy, while the limited weapon hardpoints force it to rely on drone assistance if engaged in combat. The Probe is the Minmatar Tech 1 exploration and scanning frigate. It is a good ship for rookies or veterans who are getting into probing and don't have the skills for the T2 version, the Cheetah. It's bonus to cycle time for hacking, archaeology, and salvaging modules means it can be very effective for looting exploration sites as well. If you have the skills to deal with its small capacitor, it can be a speedy and cheap delivery ship due to its comparatively large cargo bay. 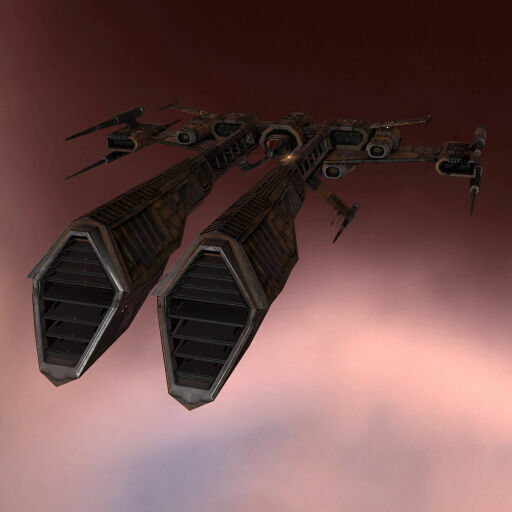 The Rifter is the primary damage frigate for Minmatar. For tackling, a Slasher or Merlin is by far better. 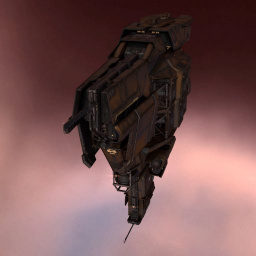 While the Rifter used to be considered the best T1 frigate in the game (leading to many memes surrounding it), it has been nerfed to be similar in abilities to the others. A balanced 4/3/3 layout gives the Rifter the ability to either shield or armor tank and provides flexibility in fitting. The Slasher is cheap, but versatile. It's been manufactured en masse, making it one of the most common vessels in Minmatar space. The Slasher is extremely fast, with decent armaments, and is popular amongst budding pirates and smugglers. The Slasher is the Tech 1 Minmatar fast tackle frigate. It receives a bonus to the cap usage of tackle mods, and it has the fastest base speed of the tier one frigates. Four mid slots also allow a great deal of flexibility in fitting. The Vigil is the Tech 1 EWAR ship of the Minmatar Republic. This ship is the fastest standard T1 frigate, and makes a decent first-strike tackler. The bonus to target painters isn't that useful, as target painters are stacking penalized in effectiveness, and work reasonably well on hulls without bonuses to them. Destroyers are slightly larger and have more highslots than frigates but fit the same small-sized weapons. In PVP, they're designed to slaughter frigates but be vulnerable to most other ships, which limits them to very niche roles. Their high damage output (for small, cheap ships) makes them popular tools for suicide-ganking weak targets in highsec. They are also sometimes used to hunt frigate pilots or to kill a carrier's fighters. Due to their limitations, flying destroyers is not recommended for PvP Uni fleets. However, there are some exceptions, such as specialized hit and run fleets or doctrines designed to maximize the strengths, such as the Talwar Doctrine. 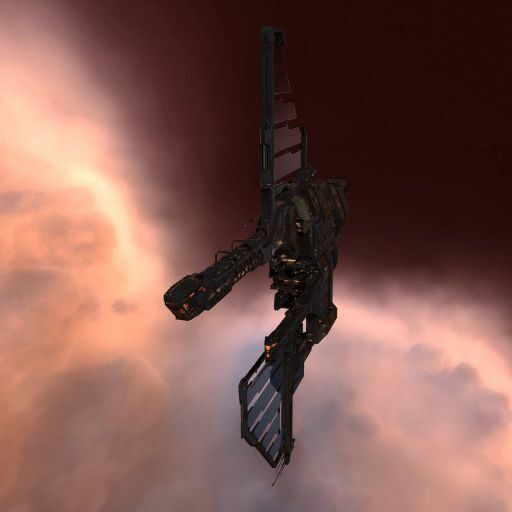 In PvE, they are most often used for Level 1 missions, and they make superb introductory salvage ships. The Talwar is redolent of the renowned Minmatar practicality in terms of battle. Irrespective of numbers, firepower and circumstances, their strategy when engaged in combat often revolves around the same central tenet: Stay untouchable as much as you can, either by sneaking around or rushing in, do as much damage as fast as you can, and get out before you get killed. As such, the Talwar does not come equipped to hang around forever on the battlefield. It is built to rush around at speed without getting caught, and to hit very hard and very, very fast. The Talwar uses rockets or light missiles to fight smaller craft like Frigates or other Destroyers. Due to its unique bonus amongst Destroyers reducing the signature radius bloom of MicroWarp Drives, it is the fastest Destroyer available and able to reach such speeds without increasing its own signature radius significantly. With its speed, range, and alpha abilities, a fleet of Talwars can be devastating. The Thrasher can be an effective anti-frigate platform in PvE (L1 missions) or PvP. 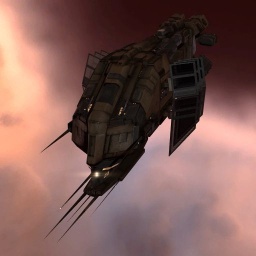 It is rarely seen in fleet combat, but its cheap cost makes it popular with suicide gankers. Its balanced mid and low slot layout makes it generally the most flexible destroyer, able to fit some tackle and an armor tank or damage and a shield tank. 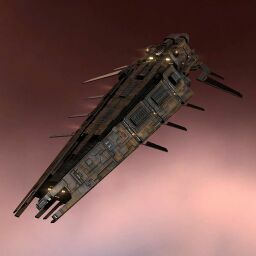 Cruisers are Eve's medium-sized ships, larger than frigates and destroyers but still much smaller, faster and nimbler than battlecruisers and battleships. Cruisers mount medium-sized weapons and modules. Tech 1 cruiser hulls cost a few million ISK and tend to be the first major financial step up from frigates for new pilots. In PvP, some tech 1 cruisers, such as the Gallente Thorax and the Minmatar Rupture, can bring surprising amounts of DPS to a fight. 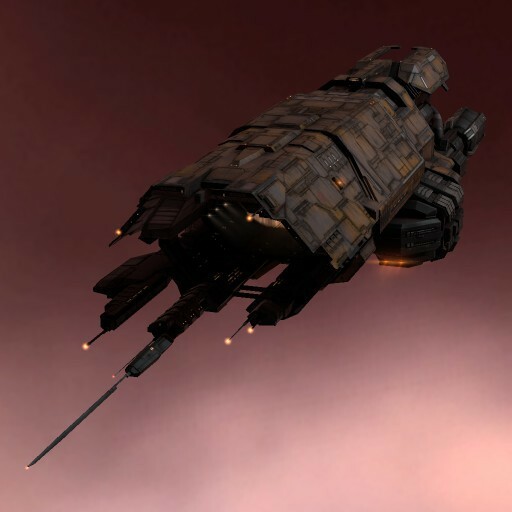 The electronic warfare cruisers can also be important in PvP, as they are slightly tougher and often more effective EWAR platforms than their frigate equivalents. Cruisers can also fit tackle to provide some secondary, heavier tackling that's harder to scrape off than Tech 1 tackling frigates. 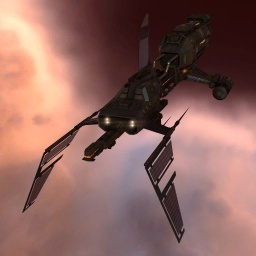 In PVE, Tech 1 cruisers are the ships most commonly used to run Level 2 missions. 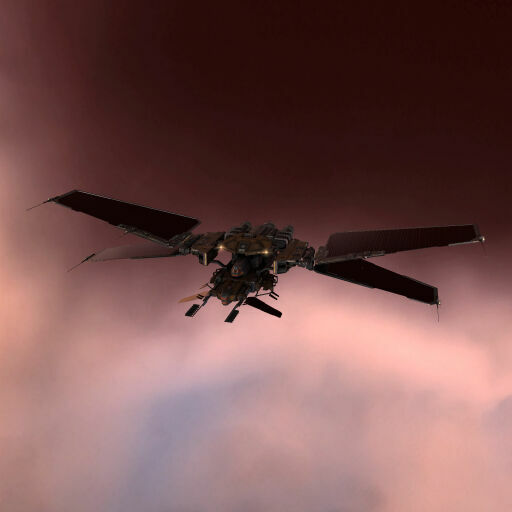 Being a highly versatile class of Minmatar ships, the Bellicose has been used as a combat juggernaut as well as a support ship for wings of frigates. While not quite in the league of newer navy cruisers, the Bellicose is still a very solid ship for most purposes, especially in terms of long range combat. The Bellicose is the Minmatar EWar cruiser, with bonuses for the effectiveness of target painters. Although the Vigil's target painters have a longer range than those of the Bellicose, the cruiser provides a far more durable platform from which to project EWar. On top of that, like the Arbitrator, the Bellicose has a secondary bonus for combat, in this case for the rate of fire of Rapid Light, Heavy Assault and Heavy Missile Launchers, meaning that the ship can also double up as DD, and is often used in a fleet support role. 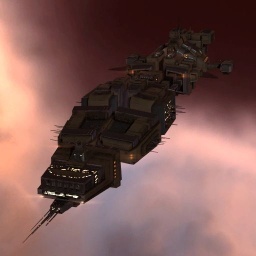 The heavy duty combat cruiser of the Minmatar Republic, this ship looks like a chunk of brick. 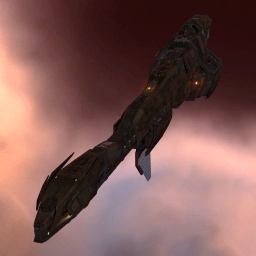 The Rupture is the favored mission cruiser for the Minmatar. It can mount a good active armor tank or regenerating passive shield tank and use artillery and drones to destroy mission rats from range. The Rupture is also a strong PvP ship. A number of fittings work well; in E-UNI fleets the most common approach is to fit an armor buffer tank and provide extra DPS and some sticky secondary tackle. Strong fitting skills and access to T2 autocannons (for kiting with Barrage ammo) open up some fast-moving shield-tanked PvP fits. In YC114 each major empire faction, having been embroiled in a harrowing, extensive, long-term war, recognized the growing need for support and logistics functionality in their vessels during the kind of protracted interstellar warfare that might otherwise prove exhausting for its participants. 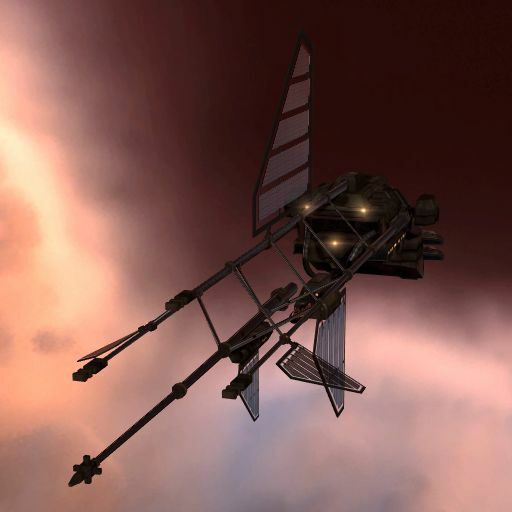 Both Frigate and Cruiser-class ships were put under the microscope, and in the Minmatar Republic the outcome of the re-evaluation process led, among other developments, to a redesign and redeployment of the Scythe. 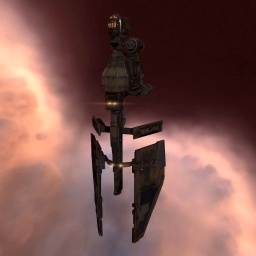 The Scythe-class cruiser remains the oldest Minmatar ship still in use. It has seen many battles and is an integrated part in Minmatar tales and heritage. With its redesign, past firmware upgrades for mining output were tossed out entirely in favor of two new separate systems that focused on shield transporting and logistics drones respectively. 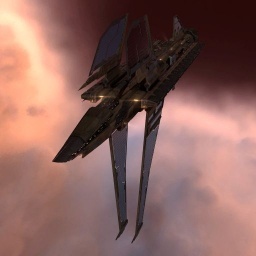 The Scythe is a T1 logistics cruiser, with bonuses to shield repair. It is designed to support 3 medium shield transporters and a shield tank and be cap stable, but getting the Scythe both cap stable and have a good tank can be tricky for low skilled pilots. The Stabber's key feature is its hull bonus to speed: It's the fastest T1 cruiser. Unfortunately it also has limited grid and CPU, limited slots and a tiny drone bay. It's best to think of it as a 'heavy frigate' or a 'light cruiser' rather than a cruiser proper. 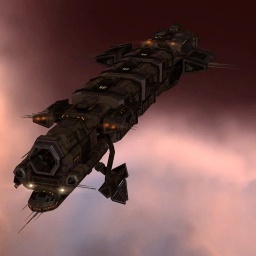 If you plan on moving into ships that utilize speed tanking or avoidance tactics this is a good ship to practice with. It can be fit as a tackle ship or an anti-frigate platform. Unfortunately it lacks the grid and CPU to fit the artillery or the combination of autocannon and tracking enhancers that would make it a viable kiting ship. When you begin to fly Minmatar Battlecruisers, it is a good idea to be training towards a Shield or Armor T2 Tank. (You will need a full T2 tank to fly battlecruisers in wartime PvP, if you're a uni pilot. Whether or not you're in the uni, a T2 tank is extremely helpful in PVP or PVE.) It is also wise to have basic Gunnery Support skills sorted out, and to be training towards T2 light and medium drones. In PvP, Tech 1 battlecruisers represent a good balance between DPS, tanking, agility, speed and cost (they cost much less to lose than a battleship). Battlecruisers can be fitted for long or short range PVP combat. In large-scale alliance battles in nullsec they are often part of each side's 'support fleet', defending the main battleship fleet from attack. In PvE, Tech 1 battlecruisers are the standard tool for completing Level 3 combat missions. Several battlecruisers can mount passive shield tanks ideal for PvE combat, and some battlecruisers are also suitable salvage ships for the large amount of loot produced by Level 4 missions. The Cyclone is inferior to the Hurricane in most situations, but it has a few niche uses. 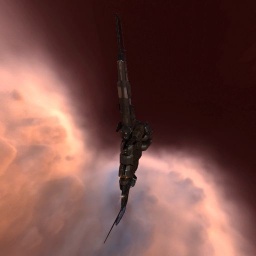 The Cyclone is bonused towards missiles rather than projectile turrets. Unlike the Drake, which is designed to mount a large buffer tank and deal most of its damage with kinetic missiles, the Cyclone is bonused to take advantage of shield boosters to mount a massive active tank, albeit for a only limited period of time, while its rate of fire bonus allows the Cyclone greater flexibility in terms of the damage types it can use. The Cyclone also has a decent drone bay and bandwidth, allowing it to field a full flight of medium drones for extra DPS, or two flights of small drones instead. The Hurricane has a long history of positive PvP and PvE performance and is one of the most versatile ships in EVE. It can deal impressive DPS, and can be shield or armor tanked. Most Minmatar pilots choose a Hurricane as their Level 3 mission ship, fitting either a passive shield tank or an active armor tank. In PvP, the Hurricane can be fitted as a simple, armor-buffered short-range bruiser, or as a fast, kiting, shield-tanked 'Nanocane', or as a shield-tanked, medium-range high-alpha artillery platform. 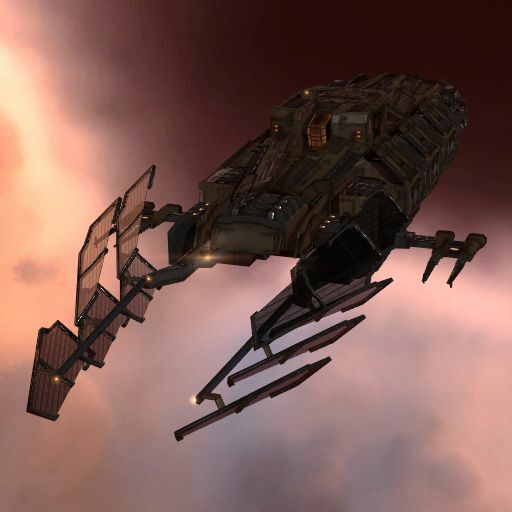 Roaming gangs of shield Hurricanes with Scimitar logistic support are a fearsome sight and a highly effective combat fleet. In YC 113 Republic Security Services learned the Amarr Empire was building a new battlecruiser capable of supporting battleship-class weapons. Determined to not lose their technological edge to their adversaries, Republic Fleet commissioned Boundless Creation to construct a gunboat to match. What they designed was the Tornado. Developed in record time and total secrecy, the Tornado is a testament to Minmatar engineering. 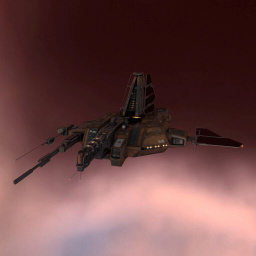 Modeled loosely on flying-wing designs of ancient planetary bombers, the Tornado supports multiple large projectile turrets, dealing massive damage while maintaining a small signature radius. The Tornado was made to do one thing and one thing only: blow the every loving crap out of anything that is unfortunately preoccupied with other threats. Like the other Tier 3 Battlecruisers, this ship is all gank and no tank. This naturally leads many to fit it for 200km+ sniper combat, since even a couple of cruisers or small frigate wolfpack can tear it apart rather quickly. The Tornado is thus often fitted with 1400mm Artillery and used to deal massive alpha damage, in similar style to the Maelstrom. In PvP, Tech 1 Battleships can mount great buffer tanks and can deal very high DPS when fitted for short ranges. When mounting long-range 'sniper' fits, battleships can fight at the very longest ranges possible in Eve's engine, while still dealing effective DPS. Battleships' weaknesses are low speed and agility, combined with slow locking speeds and poor gun tracking speeds. Battleships therefore struggle to force smaller ships to engage, and to kill smaller ships even when they can be pinned down. In PvE, battleships are also the standard class of ship used to run Level 4 missions solo, since they can fit active tanks good enough to survive lots of DPS over a sustained period of time, while still dealing out enough damage to complete missions reasonably quickly. Battleships are also used very effectively in Incursion fleets. On the same skill path as the Cyclone, the Maelstrom has a powerful active shield tank. Unlike the Cyclone it can also deal lots of damage. The Maelstrom is the usual choice for running Level 4 missions, which it does quite well (Ships like the Vargur and Machariel outperform it, but cost much more, both in ISK and in skill training time). 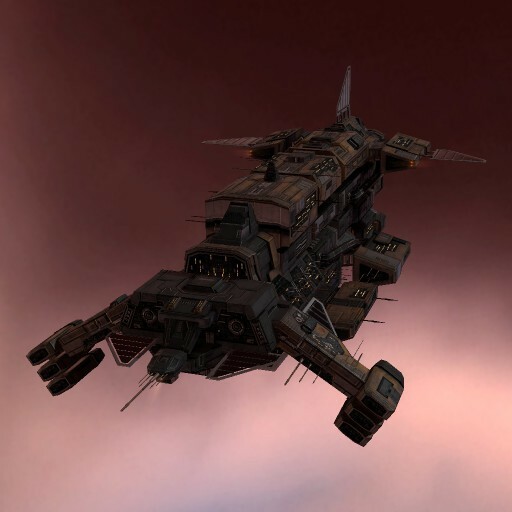 PvE Maelstroms usually fit an X-large shield booster for a powerful pulsed shield tank, and artillery for long-range DPS -- though against the Angel Cartel, whose battleships like to engage at close range, some pilots like to fit large autocannon instead. It is also a great introductory ship to get into Incursions. In PvP, the Maelstrom is the backbone of the "alpha fleet" - fleets designed to one-shot ships to negate the power of logistics. 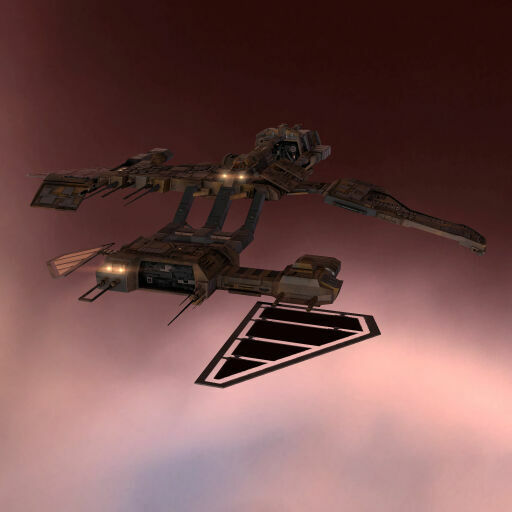 The Tempest is one of two Minmatar Attack Battleships. It's bonuses favor Large Projectile Turrets, unlike the Typhoon which focuses on Battleship-size missles/torpedos. With 5 mid slots and 6 low slots, the Tempest can be shield or armor tanked, both are equally common. With the recent rise in the use of the Tornado as a cheaper sniper, the primary role of the Tempest has been somewhat overshadowed. None the less, the Tempest is still widely used in skirmish warfare. The Tempest is relatively quick and agile, for a battleship. The Typhoon's position as the cheapest of the Minmatar battleships is a little misleading, as it's not a very good ship for new pilots. With seven low slots, a useful rate of fire bonus and the bandwidth to field a full flight of heavy or sentry drones, it has a lot of potential. But it takes a considerable skillpoint investment to bring that potential out, and the rate of fire bonus is split between two different weapon systems. The Typhoon is consequently not a common sight, but when it is used it's usually fitted with missiles, often with torpedoes and either neuts or armor RR for close combat. There are also viable L4 mission-running fits which use cruise missile launchers and sentry drones. However, new Minmatar battleship pilots will probably be more effective in one of the other two options. 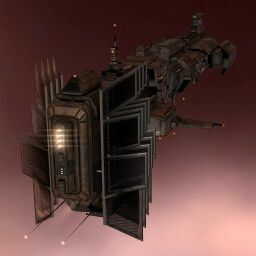 Industrial ships are a class of ships with a very large cargo bay, generally weak shields and armor, with few turret hardpoints. Industrial Ships are designed to carry large volumes of cargo within their large holds. However, they are slow and fragile ships, leaving them vulnerable to attack. Some Industrials have better capacity to deal with threats than others, leaving some ships better at running the gauntlet than others with a chance of success. The Hoarder is a highly specialized Industrial for hauling large volumes of ammunition. This is especially useful for transporting high-volume low-ISK items such as cap booster charges or large ammunition. The Mammoth offers a good compromise between one of the largest cargo holds of the Industrials and a relatively fast align time. The low-slots can be filled with either cargo expanders or agility modules to balance these depending on the task at hand. The Wreathe is an old ship of the Minmatar Republic and one of the oldest ships still in usage. The design of the Wreathe is very plain, which is the main reason for its longevity, but it also makes the ship incapable of handling anything but the most mundane tasks. The Wreathe is the entry level Industrial provided to Minmatar capsuleers during the tutorial missions. Its cargo hold leaves much to be desired but is sufficient for small hauling jobs. It offers the shortest align time of all T1 haulers and its low-slots can be used to improve that further. Level 1 distribution Missions and light station trading are situations that this ship accommodates. As young pilots have less starting capital the cargo size of the Wreathe will be suited fine. This page was last modified on 22 May 2017, at 09:38. This page has been accessed 414,604 times.